So it begins. Honda Cars Philippines is the first car manufacturer to reveal its 2018 price list—you know, the one under the new Tax Reform for Acceleration and Inclusion (TRAIN) law. As expected, higher excise taxes mean higher car prices. Almost every model in Honda's Philippine lineup saw a jump in price. Almost. 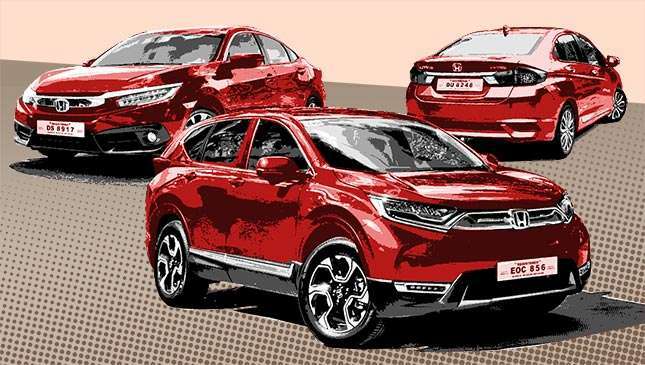 Higher-end vehicles such as the Honda Legend, Honda Pilot and Honda Civic Type R saw no increase. So good for you if you could afford them in the first place. Those of us with more humble budgets, however, aren't as lucky. The Honda City's base model, one of the more popular subcompact sedans in the market, saw a P56,000 price growth. The Civic's turbocharged variant, meanwhile, now costs a whopping P121,000 more than before. Finally the all-new CR-V's base diesel variant's price jumped up by P102,000. You can check out the full list of prices below. Bummer. Let's hope our taxes are in the right hands. Guys, this is just the tip of the iceberg. We're sure other carmakers will soon follow suit with their own revised price lists. Keep your eyes on our website for further updates. How Rich are Filipinos Compared to Other Southeast Asians?